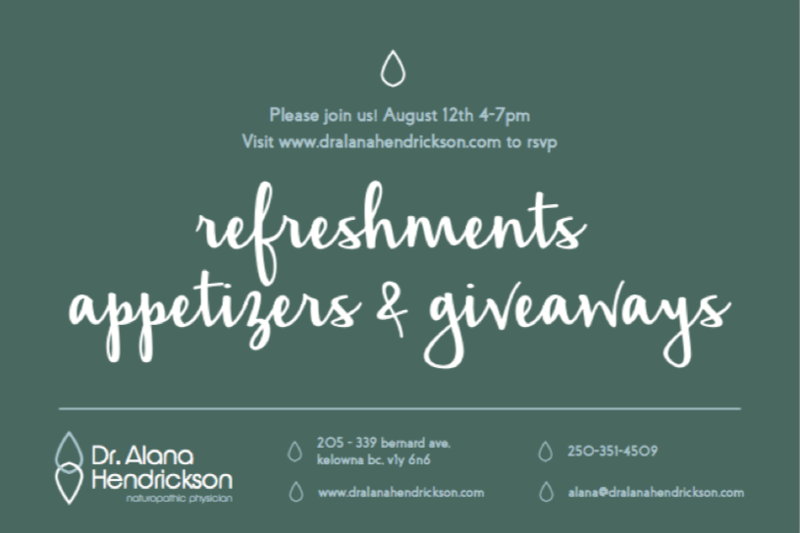 Join me at my office space for “refreshments, appetizers & giveaways” to celebrate my Grand Opening as a naturopathic physician in downtown Kelowna. Drop by after work to mix, mingle and get to know myself and others in the area. I am very much looking forward to meeting everyone. Visit the Facebook Event Page or click here to RSVP to the event. Copyright © 2019 Dr. Alana Hendrickson — All Rights Reserved. | Web Development by Twirling Umbrellas.